Did you know this about Hard Drives? The average life of a hard drive installed in a desk top computer is about 5 years, but the highest rates of failure actually can occur in the first year of use. In a laptop or external hard drive, the life expectancy goes down to as little as 3 years. Don't panic -- we recover hard drive data! If your hard drive died or you think you have a crashed hard drive, Tucson computer owners know they can count on Continental Computer Services for hard drive recovery services. We make repairs and restore data. Continental Computer Services - experience in crashed hard drive recovery and hard drive data recovery. See why our clients choose Continental Computer Services for crashed hard drive recovery, hard drive repair, and hard drive data recovery. Local drop off -- or call us and we come to you. Get my hard drive data back! Continental Computer Services is your local Tucson hard drive data recovery specialist. We recover hard drive data lost because of power surges, static electricity, lightning strikes, fires, floods, sabotage, viruses, accidents, & user error like deleted files, formatted / f-disked drives. Our technical professionals are experts in salvaging data from inaccessible, formatted, damaged, failed, or wrecked primary storage media where data cannot be accessed normally using the operating system. We enjoy a high success rate of hard drive data recovery and file recovery. It might be hard drive failure if you notice any of these symptoms. If you suspect hard drive failure, take these steps to protect your computer. Turn off your computer and leave it off until you have called a professional. It is tempting to try to turn it back on, or turn it off and on repeatedly to see if the problem has cleared itself, but if you are experiencing a hard drive failure, repeatedly turning the computer on and off can make hard drive data recovery much more difficult. Please do not use any do-it-yourself recovery software. Professional data recovery can be much more difficult - and sometimes impossible - when failed DIY methods have done additional damage. Please do not take your device apart. Clean rooms are required for some hard drive work. Please do not use a "check disk" program. Disconnect the device from the power supply and call a professional. We analyze your device to determine what the problem might be BEFORE we attempt to recover hard drive data for you. By following a carefully laid out protocol, we identify and isolate problems, correcting them in the order most likely to protect any available data and make recovery of hard drive data more likely. Do you know what caused your data loss? Knowing what caused the data loss can be helpful in our data recovery process. A data drive restore involves salvaging data from inaccessible, formatted, damaged, failed, or wrecked primary storage media where data cannot be accessed normally using operating system. If your files are accidentally deleted, your entire system has accidentally been changed, or data has been lost to virus attacks, you likely need specialized data drive restore or recovery services to yield highest quality results. Don't see your system here? Call us to see what we can do to recover hard drive data for you. 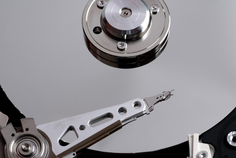 Just click here to Request a Quote for hard drive data recovery.